Great post, Barbara! I think all of the information is good common sense but for those of us who don’t sell often it’s a great reminder how things have changed and how we need to protect ourselves! Great post! I’m fairly new to doll collecting and would love to see a list of best doll boards sometime in the future! Thanks for another good post, Barbara. I have been buying and selling on evilbay since 1997 and am currently a top-rated seller. Knock on wood, but as a seller I have yet to experience the ripoffs, etc. reported by many on the doll boards. I have not been so lucky as a buyer. eBay has become so complicated to navigate that I agree that for many sellers it should be the last resort. The list of ebay pitfalls for sellers increases every quarter with their latest and greatest policies that appear to be written by people who have never even sold on evilbay. That being said, there are some best practices that help avoid some pitfalls and that generate lots of repeat buyers. These best practices that have served me well over the years particularly now with all the constant changes. 1) Describe in detail what you are listing. If there are flaws, mention them. If you show dolls or other props for illustration or modeling purposes, state that they are NOT included. 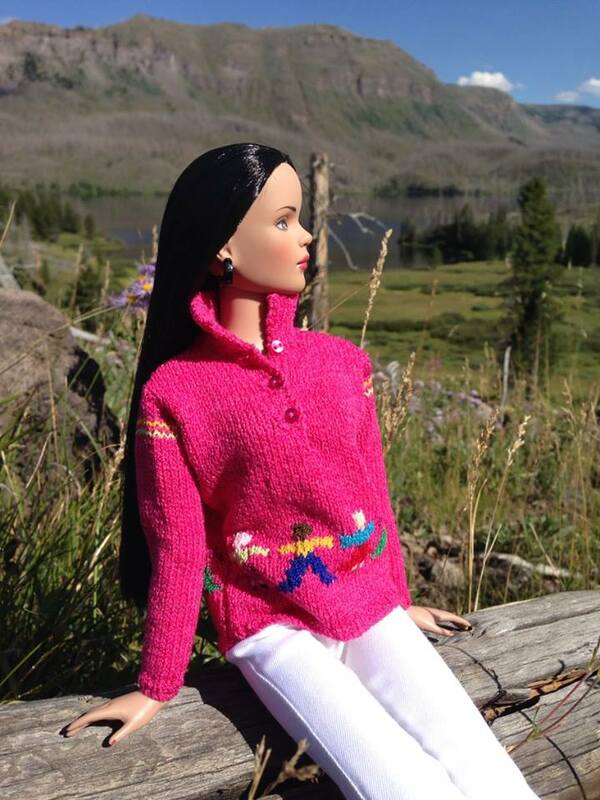 If you have a rare and beautiful doll modeling an outfit you’re selling, state that it is NOT for sale (or mention it’s for sale in another listing). List specifically what is included in your listing so that upon receipt a buyer is less likely to ask for something that they assumed would be included (like hose or stands, etc). 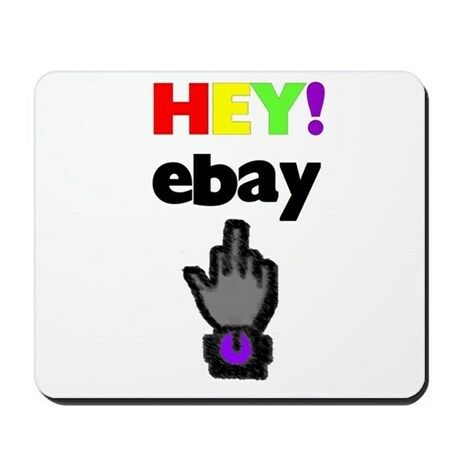 2) Don’t behave like an A–hole to anyone on eBay even if they are behaving like one. KILL them with kindness. They lose interest quickly if you don’t engage (I let them have the last word). Don’t write nasty defensive things in your listings that make you sound like you don’t respect buyers and consider every buyer a potential scammer. If people ask you questions, don’t assume that they won’t buy anything. I recently had an international buyer who was brand new to eBay ask me nearly 20 questions are she contemplated buying items from me and then during the process of buying from me. She bought 4 dolls that I was having a hard time selling, left positive feedback when they were received, and then purchased 4 more. 3) Learn how to pack and ship efficiently, particularly if you’re selling internationally. I avoid the global shipping program for all but the most expensive dolls because it is so costly to international buyers. Offering reasonable shipping prices is a big competitive advantage since so many sellers overcharge for shipping. I actually prepack, weigh and measure everything I sell before I list it. This is also helpful if I have a bunch of stuff sell and I’m scrambling to get it all ready in time for the mail carrier to pick it up. Offer combined shipping where it makes sense. Insure international items using third party insurers if you ship via first class international. Use eBay labels–you can get tremendous discounts, particularly for international buyers. If I overcharge buyers by at least $1 because of those discounts, I refund the difference. 4) Give excellent customer service. I have lots of repeat customers both domestically and internationally because I always try to treat people the way I want to be treated. And I have definitely been screwed by careless and unscrupulous sellers. I have had the same buyers purchase 12 items at a time and once they receive them, come back and purchase more. My repeat customers are a real nice bunch of people. I have had at least 20 people purchase Kellies and Barbie items from me over and over again this year alone. Remember, most buyers are fellow collectors, not scammers. 5) Accept returns and consider giving partial refunds. Yes, it runs against the conventional wisdom I’ve seen on the doll boards. I have had a 2 week return policy for years and I have received 3 returns since 1997. One of them was initiated by me because I discovered a flaw after shipping that I hadn’t disclosed in the listing. Another one was for a Christmas ornament that I didn’t examine carefully and the last was for an item that was bought by someone who didn’t read the description carefully (she paid return shipping). I honestly believe that if you say you don’t take returns and you screw up by not disclosing a flaw that you didn’t notice you risk sending the message that you are an unreasonable person. If a buyer is unhappy, they may conclude that you have a crappy attitude because you don’t stand behind your items and therefore you deserve to get stuck with paying return shipping or having your dolls damaged. People can be very vengeful if their concerns are not addressed to their satisfaction. I say this at the risk of enraging those here who are honest and have been scammed and I do not mean this as a personal attack on anyone. Bad stuff does happen even if you stand on your head to get things right. But it is possible to overlook flaws and that is another reason to take clear photos as Barbara recommends. Then you can refer to them and discover that yes, something you didn’t notice got by you. That is why I occasionally give partial refunds. If I find evidence that I screwed up or the buyer is describing something that sounds plausible based on things I’ve come across in the past in dealing with that type of doll, I own my mistake and make amends to the buyer. 6) Sell internationally particularly if you are selling low end items. A third of my sales are to international buyers. I am hesitant to sell expensive dolls internationally, which is why I use the global shipping program for that stuff only. But I haven’t sold a lot of dolls worth over $250 on evilbay (the most expensive item I’ve ever sold was a vintage Barbie for $1500 and that sold domestically). Yes, eBay can be a challenging marketplace and if you’ve never sold there before, I wouldn’t recommend starting unless you spend a lot of time researching their policies. But from the beginning, it has been, for me, a great way to connect with other collectors. I’ve actually made friends on eBay that I have corresponded with regularly for years. Very good, informative post. I definitely need to sell some dolls, so this advice is well timed! I do buy a lot off of eBay and I used to buy a fair amount from theDollPages site before they went down. I will have to take a look at Mr. Dollface. When buying off of any site, I do try to stick with sellers that I know or that I have had previous positive experiences with. Thanks again for all the good advice! Great post! As a Canadian buyer, I have had many wonderful transactions (via doll boards, e-bay and other forums) with sellers from my own and other countries. The best thing about e-bay is that I know immediately whether a seller will ship to my country. The worst thing is e-bay’s Global Shipping Program which adds ridiculous import fees and increases shipping costs. Even worse, so many e-bay sellers don’t understand how the GSP works or how it negatively impacts their sales. I appreciate all the honest, pleasant sellers who are willing to ship outside of their own countries using an economical shipping method. They’ve allowed me to add many beautiful dolls, outfits and accessories to my collection that I would not otherwise have been able to acquire.